Making chocolate chip cookies Sunday evening. 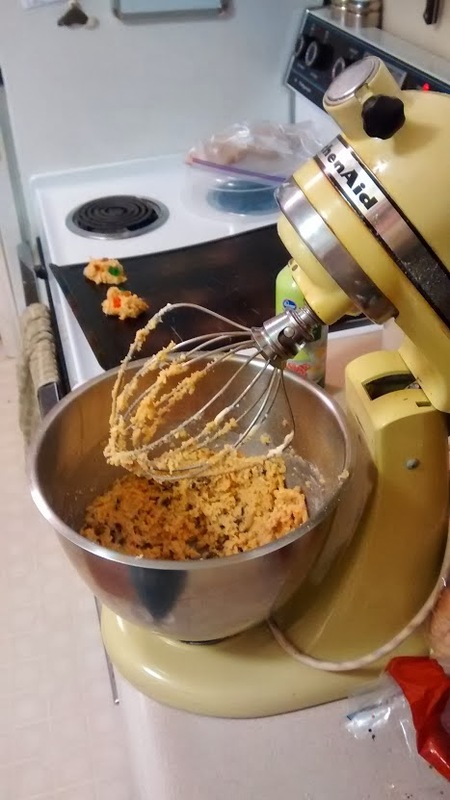 Jacob wanted gummy bear cookies (which didn't turn out well). I took Jacob to the doctor on Tuesday. 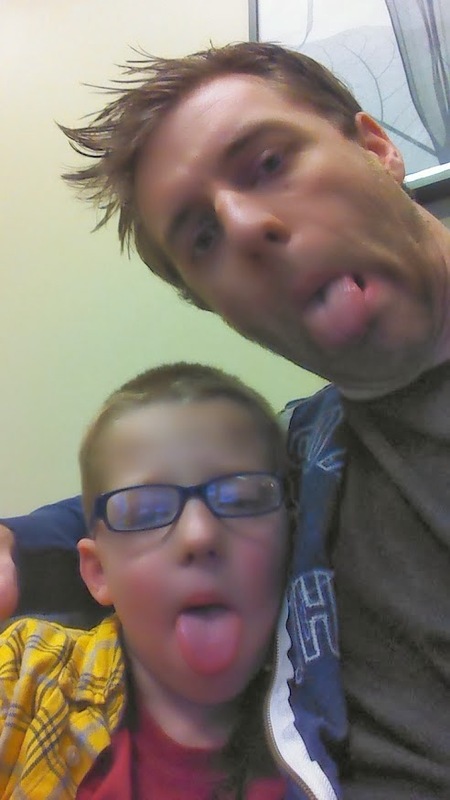 Like his old man, he can at least maintain some silliness despite clearly not feeling well. 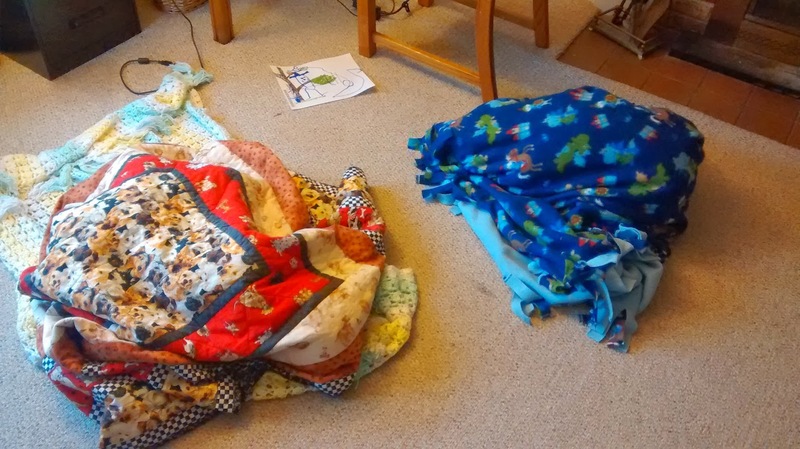 Both boys are hedgehog eggs waiting to hatch. 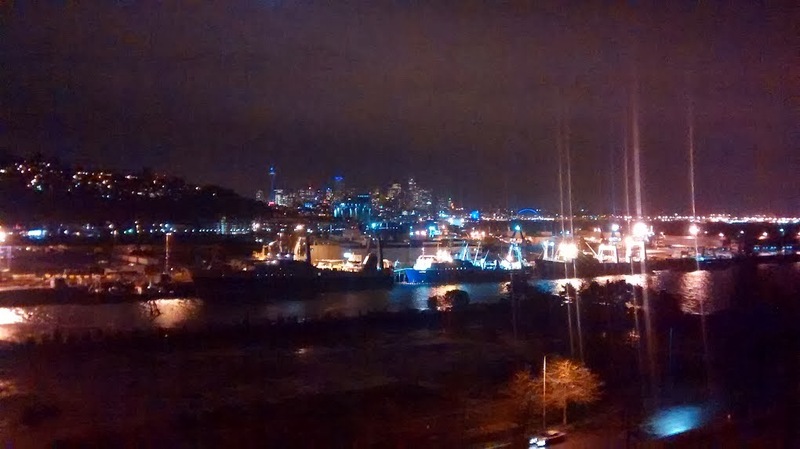 A view of downtown from the Magnolia Bridge as I walked home in the rain. 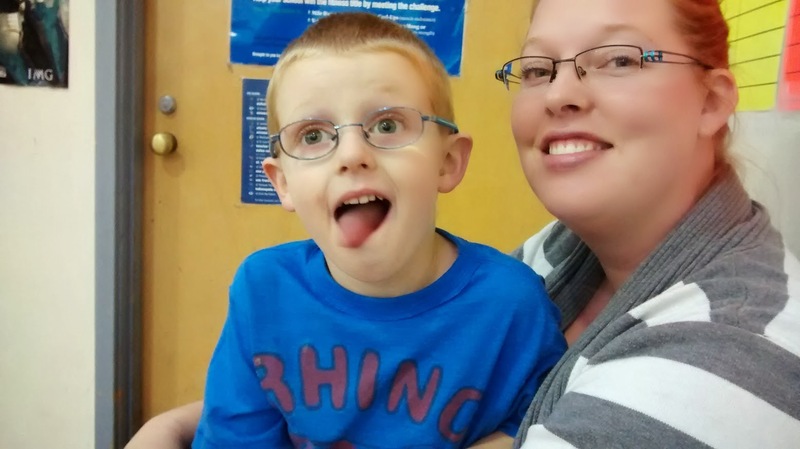 Reed and Andrea hanging out during Jacob's sportball. 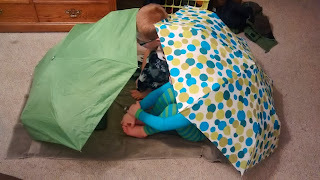 The boys watched a bedtime movie in their umbrella fort.